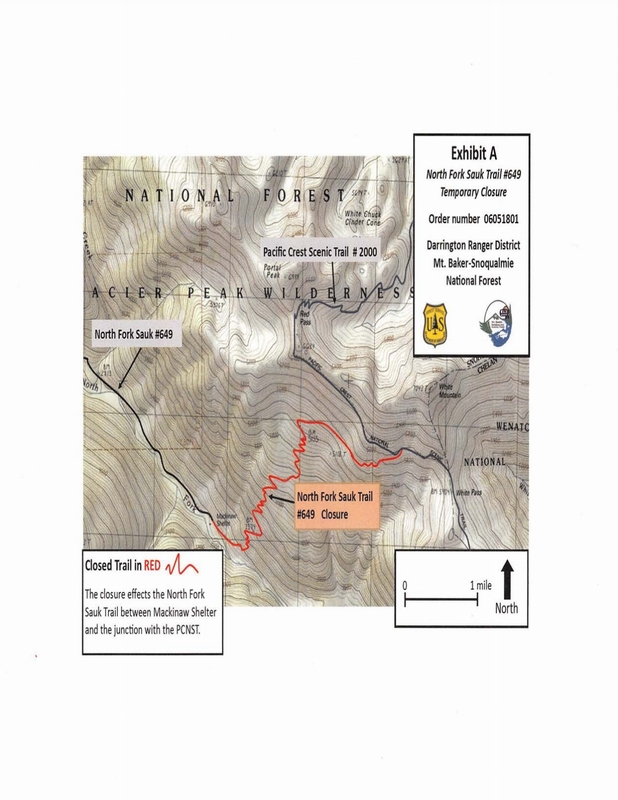 An important side trail to the PCT, the N. Fork Sauk Trail, will be closed from August 8 – 15, 2018 while explosives are used for trail maintenance. This is in Glacier Peak Wilderness. There will be rolling closures of the PCT around mile 2502-2503 as well during that period to allow for the actual blasting. Forest Service staff will be on site to manage the safety of hikers and restrict passage for short periods (rarely more than one hour) while the actual blasting is taking place.